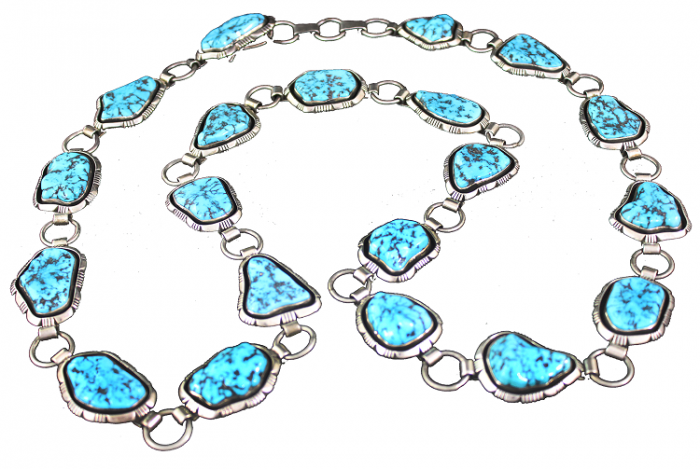 An elegant vintage 1980s Navajo sterling silver and turquoise concho belt from Pete Sanchez, with 20 large freeform bright blue Kingman turquoise nuggets; all linked together through silver loops. 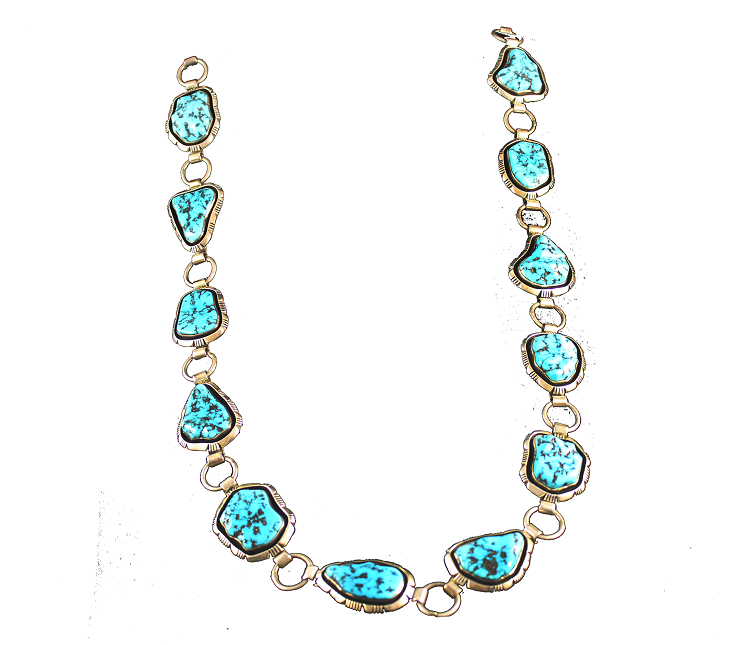 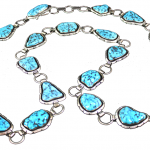 Every nugget of turquoise is set in a thick gauge shadowbox bezel with intricate deep hand chiseled details and each individually stamped P. Sanchez. 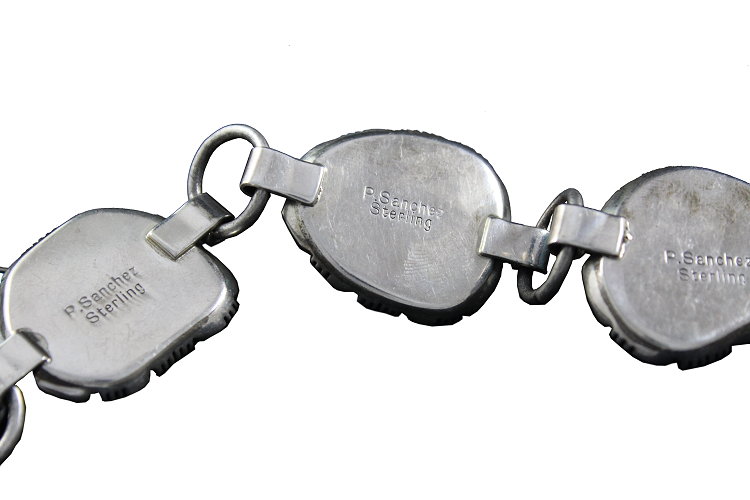 Three loops connected at the end of this beautiful belt makes for easy adjustments.